If you are a bit overweight or obese and looking for ways to lose weight fast and safe with insurance, you may want to watch this amazing weight loss journey of Carl! 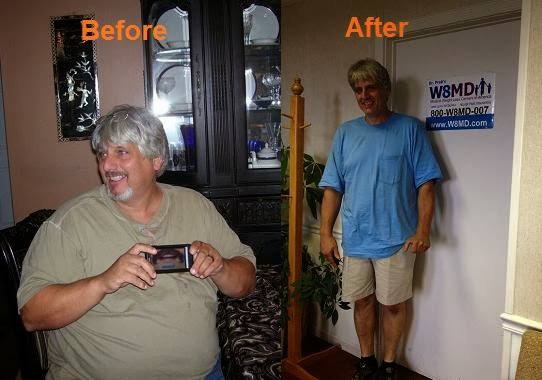 Watch his video weight loss testimonial of The story of Carl who lost over 100 pounds with W8MD! Watch the video testimonial of Carl lost over 100 lbs* with our W8MD medical weight loss centers program in Philadelphia! Specialties: Weight Loss Service, Weight Loss Diet Pills, Sleep Clinic, Sleep Study Clinics, Sleep Apnea Clinic, Medical Weight Loss, Weight Loss Pills, Weight Loss Supplements, Fast Weight Loss Options, weight loss diet, weight loss program, Lose Weight Philadelphia, Weight Loss NYC, New York Weight Loss Clinic, Adipex, Phentermine, Generic Phentermine Topiramate, Brand Name Qsymia, Belviq, Lorcaserin Weight Loss Diet Pills, NYC Weight Loss Service, Philadelphia Weight Loss Pills, 800 calorie VLCD Diet, 1000 Calorie LCD Diet, Cheap Weight Loss Low Calorie Diets. Cities Served: Philadelphia, King Of Prussia, Wayne, Brooklyn, Staten Island, Manhattan, New York, New York City, Queens, Long Island, Bronx, Bensonhurst, Stamford, CT.